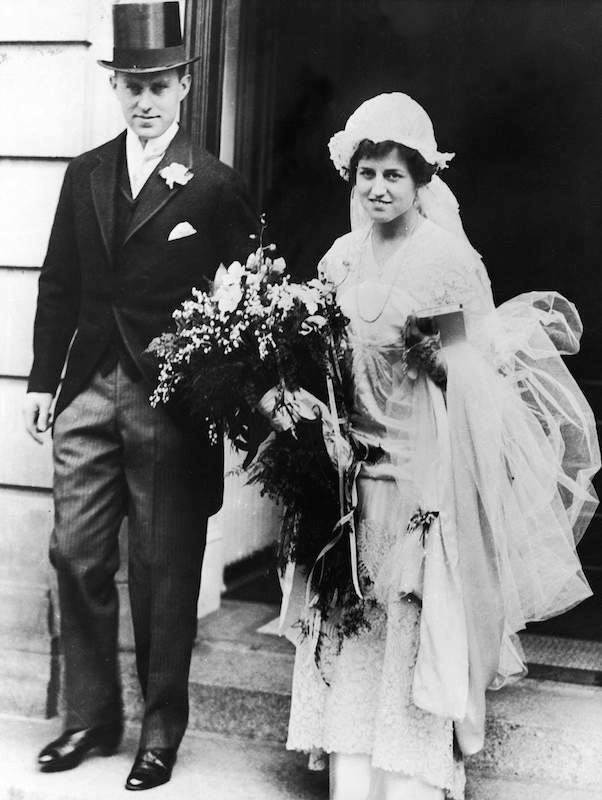 On Oct. 7, 1914, a wedding took place in Boston, MA that would change the course of American history. The couple would have nine children – philanthropists, congressmen, senators, war heroes, and a United States president. Yet the family they created would endure great sorrow in spite of their exalted status. Rose Elizabeth Fitzgerald was born on July 22, 1895. She was the daughter of John F. (“Honey Fitz”) Fitzgerald, who served as a congressman and Boston’s mayor. Fitzgerald was a politician of the larger-than-life and ethically questionable variety. He took his charming daughter “Rosie” campaigning and she showed an immediate knack and liking for political glad-handing. Rose knew it was the life for her. Joseph Patrick Kennedy was born on September 6, 1888, in Boston. His father, Patrick Kennedy, was the son of an Irish immigrant tenant farmer. Patrick clawed his way up from the working class to become an influential politician and businessman. He made certain his son Joe attended Boston Latin School and Harvard University, once off-limits to the Irish. What Joe didn’t have in a GPA he more than made up for in charm, and he was already a very successful businessman by his early 20s. Joe Kennedy and Rose Fitzgerald first met at Old Orchard Beach, Maine as teenagers when their families were vacationing. They met again during Joe’s years at Harvard when he began seriously courting the ex-mayor’s daughter. Kennedy had to work hard to win his bride. The Fitzgeralds were in a higher social echelon than the saloon-keeping Kennedys, and Honey Fitz knew it. He went out of his way to discourage the match, sending Rose to school in Prussia for a year (out of sight, out of mind?) but to no avail. After a very lengthy courtship, they were finally married on October 7, 1914. The newlyweds set up housekeeping after a two-week honeymoon in Virginia, and then Rose’s years of prodigious childbearing began. Between 1915 and 1932, she presented Joe with nine children – four boys and five girls. She was a hyper-organized if not an overly affectionate mother, hammering her guiding principles of “self-improvement, discipline, responsibility” – along with a hefty dose of conservative Catholicism – into all her children’s heads. Reportedly Joe had very little to do with his children’s day-to-day upbringing unless it had to do with his sons’ educations. In fact, he was very rarely home, as business matters kept him constantly on the go. His numerous extramarital affairs, the most celebrated with movie siren Gloria Swanson, also took away from his home life. Despite the occasional dalliances outside of their marriage on Joe’s part, the couple considered their greatest achievement to be the family they created together. But despite all the success of certain of their children, they endured many tragedies as parents. Their son Joe was killed in action in WWII and daughter Kathleen was killed in an airplane crash not long after. John was assassinated during his presidency in 1963, and Bobby was also gunned down seeking the Democratic nomination in 1968. Joe died in 1969. Rose lived on another 25 years, the matriarch of an ever-growing brood of Kennedys, who still seemed destined for tragedy into the next generation. But Rose, as always, remained stoic and resolute in her faith in God. She died in 1995 at the remarkable age of 104 at the family compound in Hyannisport, MA, leaving behind her (at the time) 5 surviving children, 26 grandchildren, and 42 great-grandchildren. The problem with the above is that there is no such thing as “conservative Catholicism,” just as there is no such thing as “liberal Catholicism.” As recent popes have stated, “conservative” and “liberal” are political terms, and they have nothing to do with the religion that Jesus founded. Obviously one can say that a person is either Catholic or non-Catholic. Then one can say that a person who claims to be Catholic is either (1) a practicing, genuine, orthodox Catholic or (2) a non-practicing, bogus, heterodox Catholic. A genuine Catholic wishes to believe everything that the Church teaches (because it has been passed down from Jesus through his Apostles and their successors, today’s bishops) and wishes to act as the Church teaches one must act to please God and to avoid sin. Such a person (e.g., Rose Kennedy) is not a “conservative” Catholic, but simply a genuine one! A Catholic who is “Catholic in name only” wishes to pick and choose what he wants to believe — behavior known as “Cafeteria Catholicism” — and wishes to commit certain “popular” sins without incurring guilt or punishment. Such a person (e.g., Teddy Kennedy) is not a “liberal” Catholic, but simple a “faux” Catholic. Despite all the crosses that Rose had to bear in her very long life, I’d be willing to bet that the heaviest of all was watching her son, Ted, acting — for at least three decades — like an utter maniac, drinking, womanizing, doing everything he could to keep abortion legal, etc.. He was the “poster boy” for “Catholics in name only” — and also one of the worst and most damaging citizens in the nation’s history.